The ghouls have spoken. The undead have risen. The clowns have done that weird thing that is freaking everyone out, whilst gaining national attention. 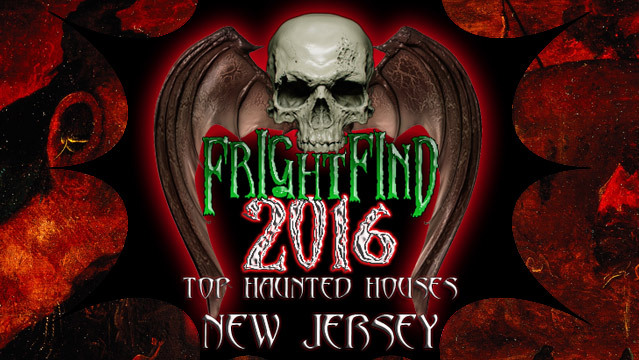 FrightFind’s annual guide of haunts is here. We’re not here to rank or tell you whose chest is hairier, but to bring you at least one haunted house to visit in every state. With thousands of haunted attractions across the nation, some states are laden with frights, while some states are lucky to have even one. This year, we lost a few friends, but they’ll be back or, so they say. 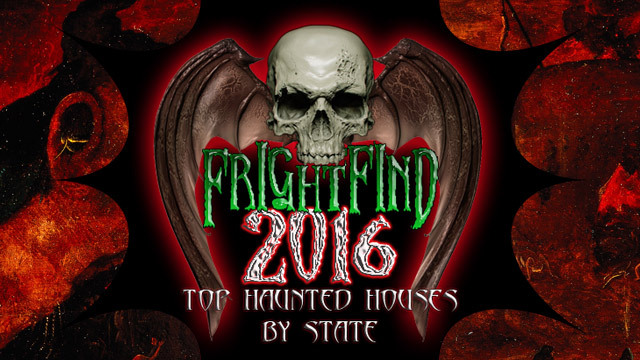 Behold FrightFind’s guide to the top haunts in every state! 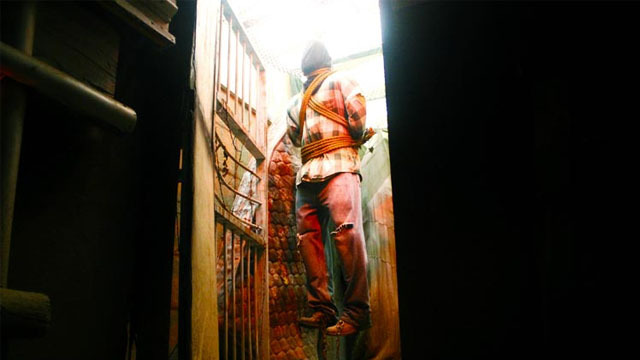 To see the most recent Top Haunted Houses in America click here. 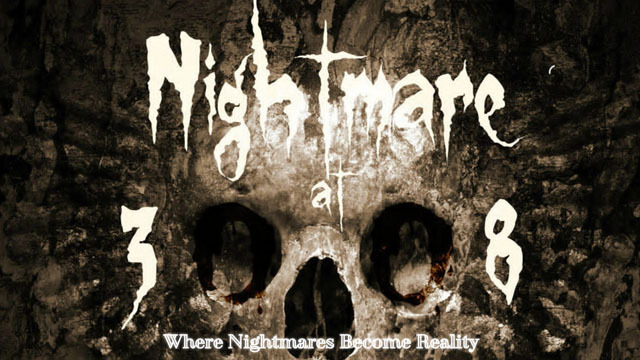 Located in Fultondale, Nightmare at 3008’s tag line is “Where Nightmares Become Reality.” Yep, that’s about right. And there are many ways they bring your nightmares to life. You can tour the Abandoned Still Yard, a haunted junkyard that includes a quarter-mile trail filled with horrific misfits eager to make it the worst walk of your life. 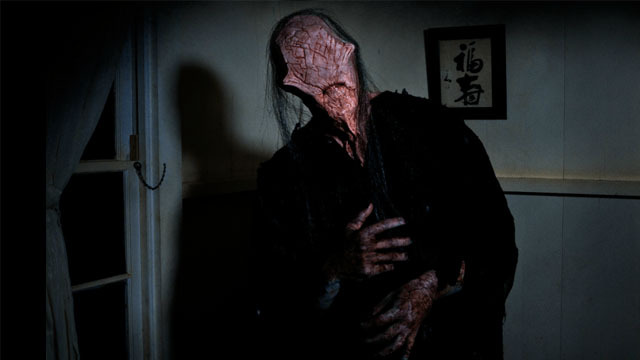 After you wet your pants outside, walk (or crawl) inside to the Terror Within where the dark and twisting hallways threaten to swallow you whole. All screams aside, Nightmare at 3008 is also a scare that cares. Each year this haunt raises money for charity, and the cause for 2016 is childhood cancer research. The folks running this attraction have a lot of heart – even if they’re trying to stop those of their guests. FrightFind salutes them for giving to such a worthy cause. 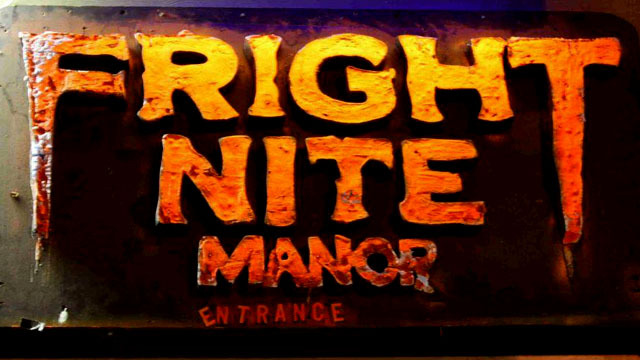 Founded in 1985, Fright Night Manor is one of the oldest and longest-running haunts in Anchorage. 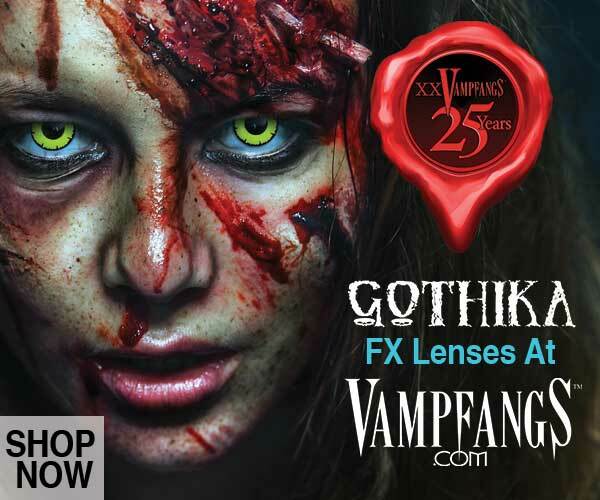 Located in the Northway Mall, the 10,000-square-foot haunted house features lots of jump scares, ghoulish props, and especially good use of 3D effects most of which are on creepy rather than gory side. It’s accurately billed as a family-friendly haunt, but be advised that it’s scary enough to not be suitable for younger kids. It’s also wheelchair accessible. How About A Room On The 7th Floor? 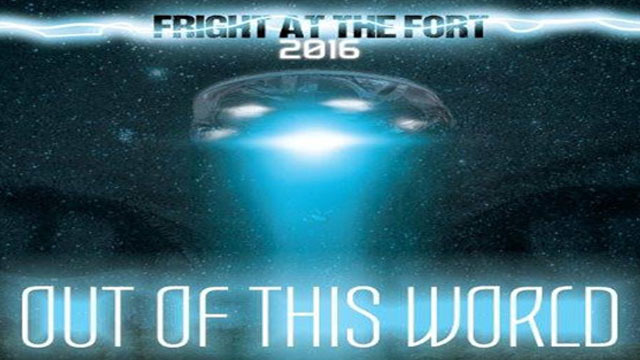 FrightFind’s top haunt for Arizona for the second year in a row, the 13th Floor Haunted House is a real pro operation. Spread over multiple floors of a single horror-filled building in downtown Phoenix, you get access to two terrifying attractions for your ticket: “The Deadhouse” and “The Frenzy.” The former is occupied by zombies that are actually manifestations of childhood nightmares, while the latter is described as a “visceral manifestation of humanity’s most crippling fears.” And they nail it. 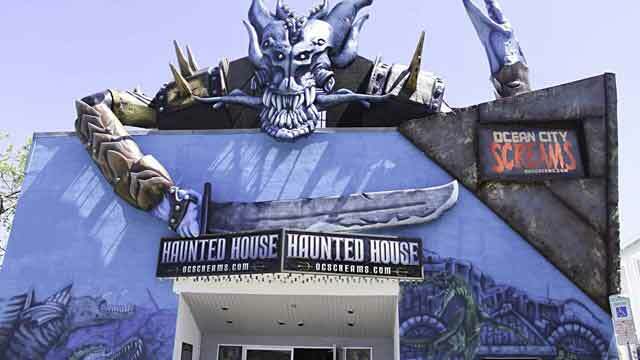 Designed by award-winning haunted house designers, this is the real deal. Be prepared to be scared. 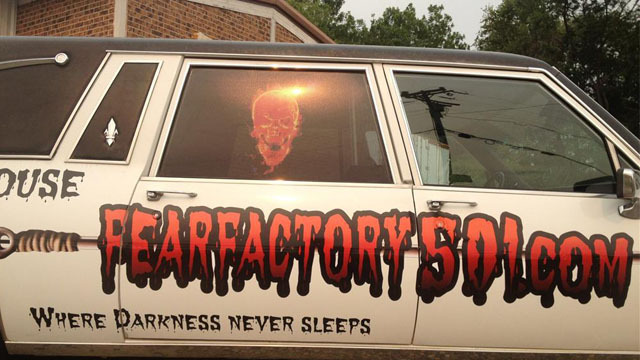 A two-time FrightFind winner, Fear Factory 501 is located in Jacksonville but worth the drive if you’re anywhere in the region. Of course, you might regret going at all if creepy clowns make your skin crawl because this place is known for them. Overall, there are some great actors prowling the attraction and some over-the-top gory features that both terrify and impress in their attention to detail. The attraction will have a special “Kid Friendly Night” on October 23, but otherwise probably too scary for younger children. 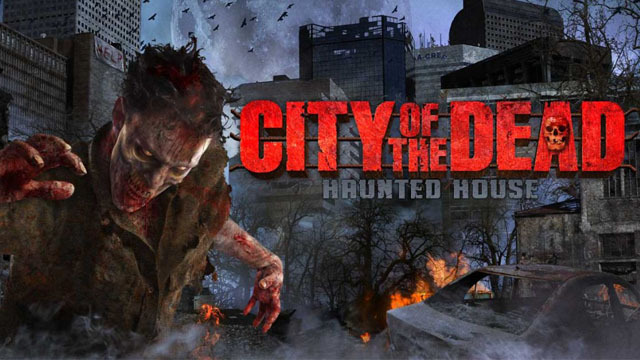 Located not far from Denver in Henderson, Colorado, City of the Dead is three seriously freaky haunted houses in one: City of the Dead, Curse of Darkness, and The Carnival of Carnage. Voted “Best Denver Haunted House” eight times, it’s also a nationally known attraction, and for good reasons. With a huge cast of actors roaming the building and the grounds, you’ll be assaulted the minute you get out of your car. This professional-level haunt really delivers the goods. Get ready to scream for your life. Do You Have The Guts? They Want To Know. Creepy is right. Located in Hamden and advertised as an “emporium of the bizarre,” Creeperum delivers a sensory overload of chills and horror. This warehouse attraction features a maze of corridors and rooms filled with optical illusions and a cast of horrific creatures from the lab of demented inventor and occultist Nikola H.P. Crowley. And he’s one twisted doctor indeed. Not recommended for kids under 10. And that’s probably pushing it. 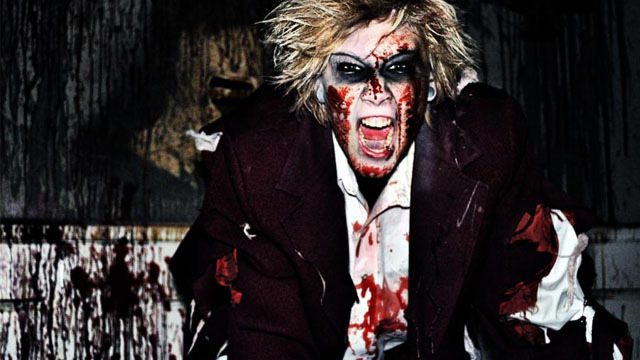 Now in its 20th year, Frightland is made up of several different attractions including The Attic, Zombie Prison, Idalia Manor, Ghost Town, and others. 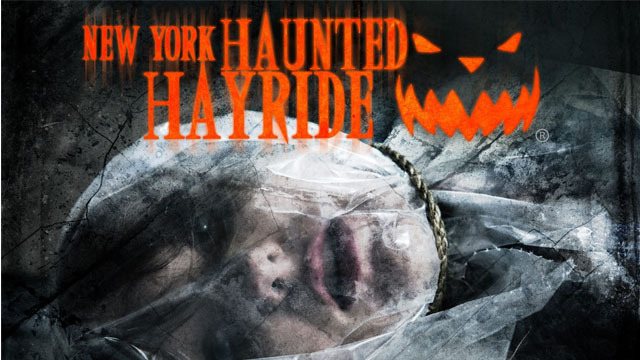 There’s also a two-mile haunted hayride and a full amusement park with rides making this a great choice for those who like variety and want hours of scary fun. 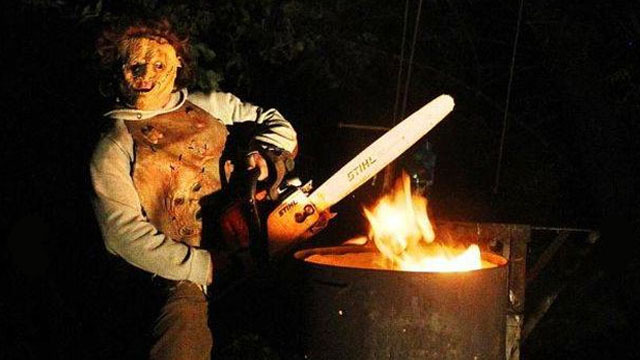 Located in Middletown, Frightland has been named a “Scariest Haunted Attraction” by the Huffington Post and the Travel Channel. The attraction also donates part of their profits to support the Leukemia Foundation of Delaware, so you’re putting your screams to good use. 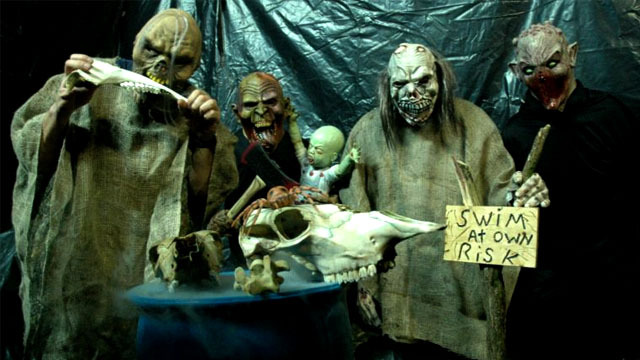 A FrightFind winner for the second straight year, it’s tough to beat Netherworld Haunted House in Norcross, GA. The costumes and special effects are Hollywood worthy as are the more than 100 actors roaming this sprawling walk-through attraction. 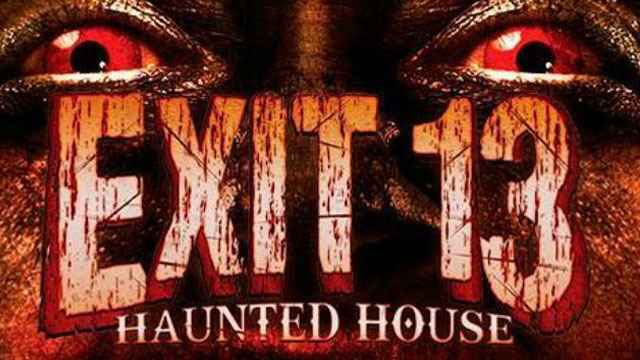 It’s rated one of America’s top haunted houses by multiple sources and simply a must-see for true enthusiasts. Do yourself a favor and get there. A two-time FrightFind winner, the Haunted Mansions of Albion in Albion, ID, is one of the biggest haunted attractions in the Pacific Northwest. The theme is a “school of chaos” that includes a “House of Clowns” and the “Zombie Academy.” The setting also has a colorfully creepy backstory. Originally opened as a school in 1893, it went through several incarnations until it closed for good in 1969. 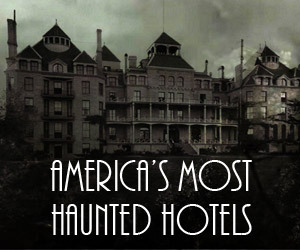 Since then there have been rumors of rampant paranormal activity on site that has clearly infected the place. If clowns freak you out, this place is for you. Or not. “Vulgar, Disturbing, and Aggressive.” Sweet! 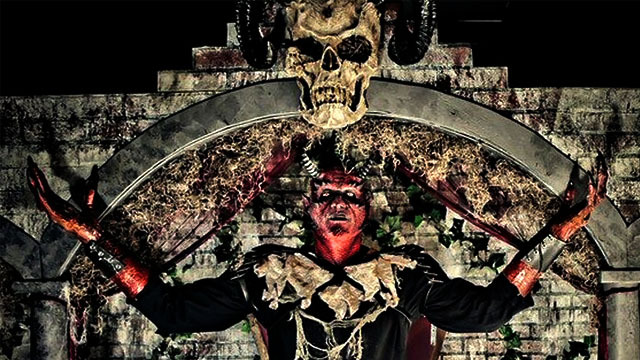 A 2015 FrightFind winner, the Statesville Haunted Prison offers a self-guided tour of 23 gruesome cells filled with unimaginable horrors, gore, and carnage. The haunt is wildly intense and claustrophobic at times and you will scream your head off. It’s also “vulgar, disturbing, and aggressive” according to its own website – a description we’d agree with. Be advised that children under 10 are not admitted, and those under 15 must be accompanied by an adult. 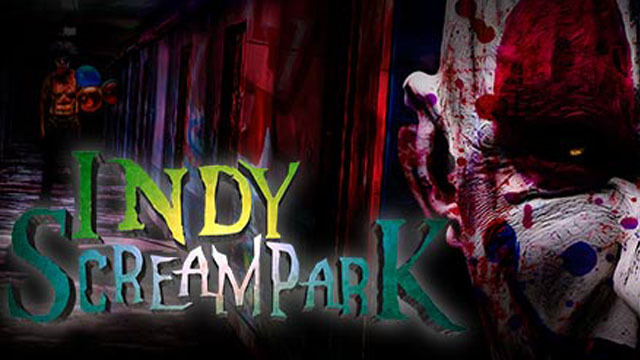 Last year’s runner up, the Indy Scream Park in Anderson has been voted one of America’s best haunts by both local and national sources and its reputation is deserved. Prepare to spend some time here – and to leave exhausted and emotionally shattered. The park has six attractions for one price. The newest for 2016 is Pandemic along with a redesigned Zombieland Apocalypse. The others include Rage 3D, Brickmore Asylum, and Backwoods. There’s also a Monster Midway when you need to take a breather and grab some food and drink and play a few games to calm your nerves. This is a seriously pro operation where a terrifying time is guaranteed. Located in Waterloo, the Heart of Darkness offers plenty of variety. 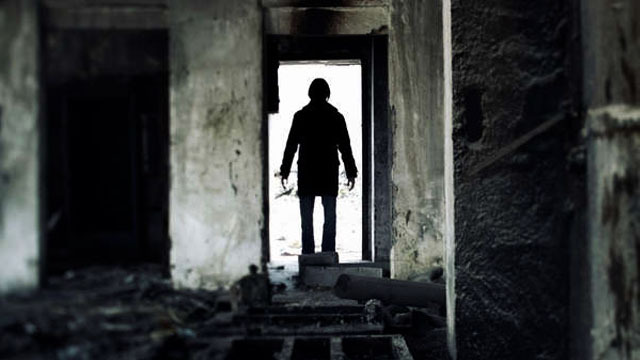 You get 10 haunted attractions to choose from – or the truly demented can tour them all. 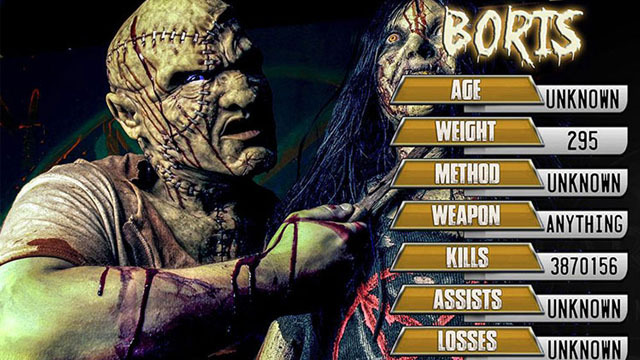 Among the choices are the Killer Circus in Full 3D, the Haunted Bus, the Zombie Survival House, and the Coffin Catacombs. 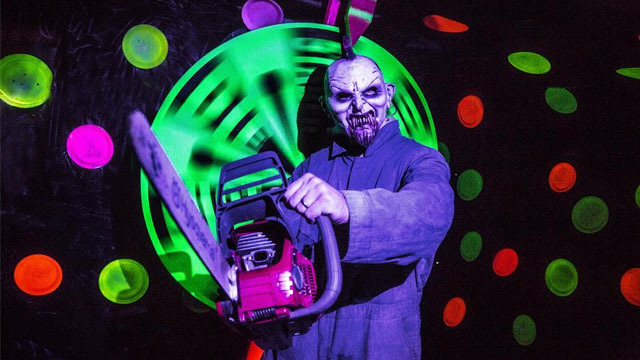 It’s Iowa’s largest haunted attraction and also includes a Monster Midway with live entertainment, food, and plenty of other distractions and fun. The Heart of Darkness definitely makes it worth your while. 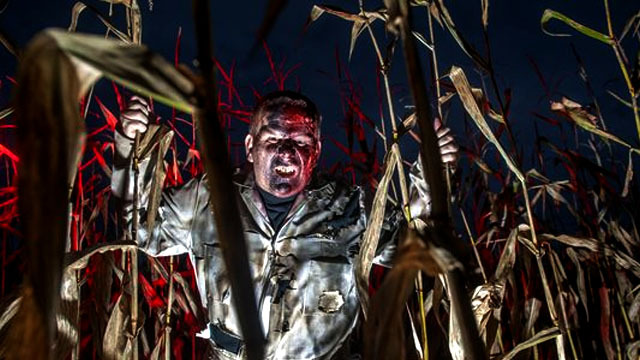 Last year’s runner up, Field of Screams in Maize is where “the fields are sick.” It’s also where the infamous “vigilante murders” took place at the Spurlock family farm, the main part of the attraction. Along the way is Jebediah’s Field, a 20-minute escape room in Jeb’s shack, and Clown Town 3D with its mazes and top-notch effects. Build it, and they will scream. 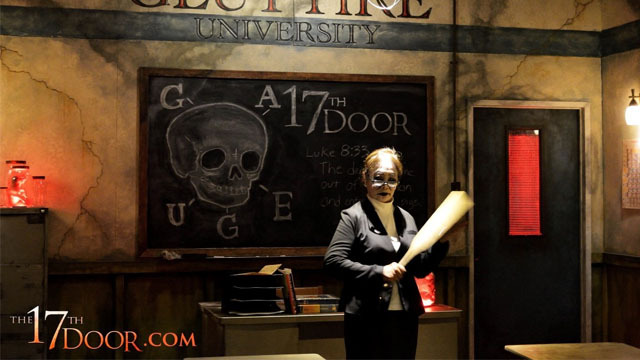 Widely recognized as one of the most realistic and graphic haunted attractions in the U.S., the 13th Gate in Baton Rouge is incredible – and terrifying – in its detail. The 13th Gate attraction takes visitors through 13 realms, each grislier than the one before. The haunt also has Necropolis 13, a tour through a haunted New Orleans-style cemetery, and the 13th Gate escape room game. Located only 100 feet from the boardwalk, this 2 story haunt is waiting for any brave souls to come aboard. Can you make your way through this “ship” before being ripped to shreds like most of the previous crew members? You will love the gorgeous sets and animation as well as the pro actors. Don’t miss the grand opening of this amazing haunt. For two years running, Barrett’s Haunted Mansion takes first place for top haunt in Massachusetts, although this is the 25th year that Barrett’s has been in operation! Set within a post apocalyptic world, the Compound with its gangs of cannibalistic cretins will leave you yelling and screaming for help. On select nights, the lights go out and the rules go out the window for “Darkness Unleashed,” a thrilling, no holds barred event that is so intense you’ll barely survive the madness! 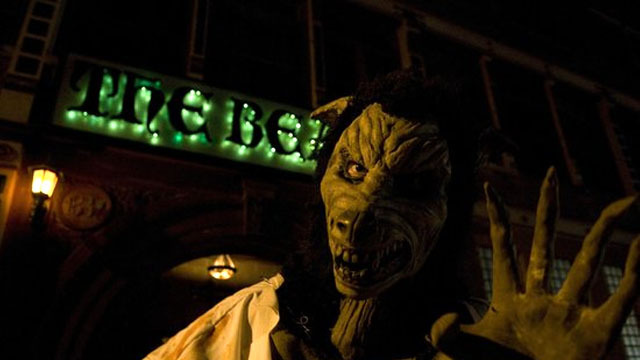 They offer a special “Bite and Fright” on Sunday and Thursday which includes a meal at the neighboring Alehouse. This haunt is not recommended for children under 13. Situated just outside of town, Scream Town is surrounded by a 200 year old forest. 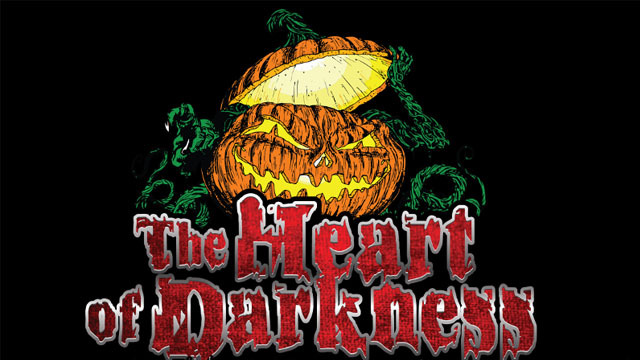 This massive haunted house and corn maze features 8 separate attractions in one! Visitors who enter the Redneck Resort will wish they had never crossed paths with Bubba and his hillbilly cousins! The Ludicrous Labyrinth has so many terrifying turns and defeating dead ends, you may start to believe you belong in the Circus Asylum! Ticket prices start at the low price of $25 per person and go up to $59 for VIP and Fastpass options. 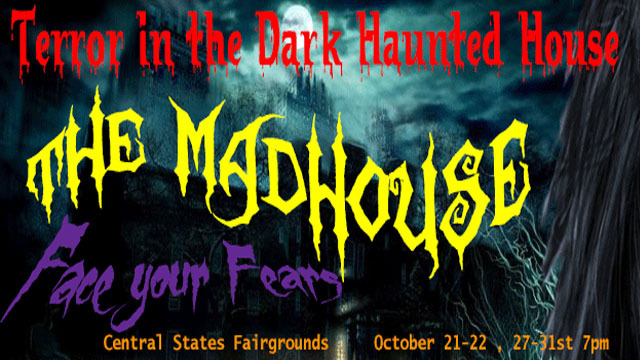 Enter the haunted forest and you will encounter gaggles of ghosts, ghouls, and goblins! Continue into the Haunted Firehouse and you may find yourself face to face with Jason Voorhees and his chainsaw or a maniacal Mike Myers! 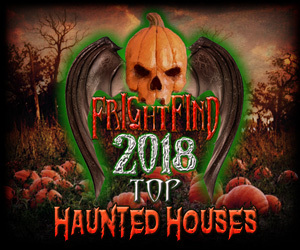 For the second year in a row, Bailey Haunted Firehouse wins best haunt in Mississippi! The Firehouse has been scaring the pants off adults and kids alike. Jamie said, “I literally left running! It was well worth it! My heart is still pounding…” The best part? Bailey Haunted Firehouse is a charity event and the cost of admission is only $10! Though located in Omaha, Nebraska—the cornhusker state—this enormous park is far from corny. The twenty acre plot of land hosts three bone-chilling attractions—Master’s Castle, Haunted Woods, and House on the Hill—all for the price of one. With insane surgeons, mutant clowns, zombies, and plenty of gore, this place might just put you in the fetal position. The layout of each attraction varies from year to year, so even return customers don’t know what to expect. Just expect to be scared. This New England treasure was a runner-up last year. Haunted Overload is one of the few entries on our list with strictly family-friendly options on certain days of the week and at certain times of the day. Children and the fainthearted can enjoy the impressive set decorations and the shrieking actors during Day Haunt or Fright Nite Lite. However, once the sun goes down on the other days of the week, the ghouls come out. And boy, they don’t hold back. To see truly breathtaking set decoration artistry and maybe even pee your pants a bit, go in for the full Haunted Overload experience. Legend says that cars sometimes roll uphill and defy gravity around this 5 acre farm, though I wouldn’t stick around to see what causes it. This attraction appeals to most types. You can either walk through the haunted woods, shoot some zombies with paintballs, or both. While this still isn’t a huge operation compared to some of the others on our list, a lot of heart goes into making this attraction deeply enjoyable. Then again, some of those hearts seem to have been ripped back out. Albuquerque’s Realm of Darkness packs a monstrous punch. In 2010, the management decided they wanted to start a haunted house that would serve the community and it terrified. It has since employed high school groups like athletic teams and extracurricular clubs as volunteer actors, who in turn receive a huge portion of the proceeds to benefit their organizations. The combined passions of the haunt owners and the students manifests into one of the most horrifying attractions in the Southwest. With impressive theatrical set designs, nightmarish creatures that change daily, and an inventive layout—all for a good cause—this haunted house is a must visit. 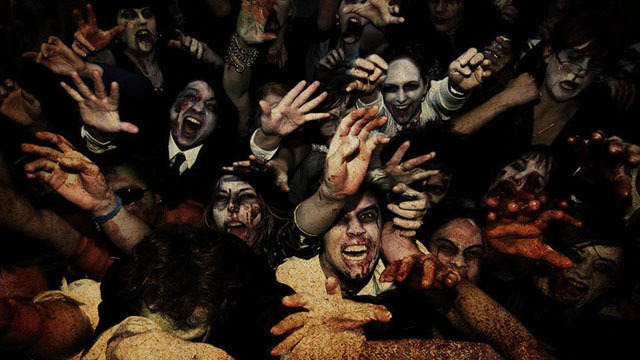 One of the most popular and critically acclaimed haunted attractions in the country, it strikes fear in the hearts of some of the most tenacious people in the world—New Yorkers. With its massive budget, thanks in large part to Mark Cuban of Shark Tank, this hayride has it all: ghosts, demons, Deliverance-esque hillbillies, cultists, you name it. Once you make it to the end, grab a (very dim) lantern and try out the brand new House of Shadows, a complicated pitch black maze filled with disfigured creatures of the night. Lastly, unwind a little it in Purgatory, where you can pick up a couple concessions and relax—that is, unless you get picked to participate in one of the reenactments of famous horror movie scenes. Even if you don’t have polished acting chops, you’ll luckily have already gained plenty of experience screaming your head off. 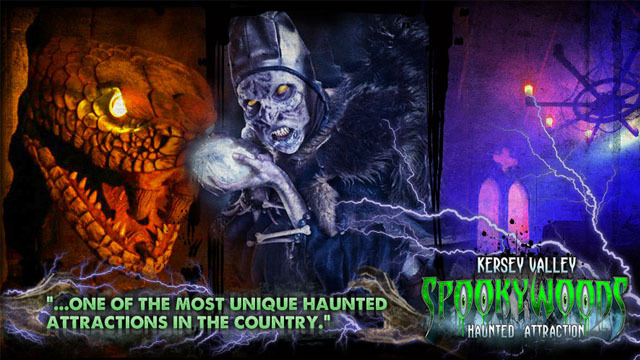 Very deserving of a second win, Kersey Valley Spookywoods of Archdale, North Carolina is one of the most successful haunted houses in America. The haunted park has remained in operation for over thirty years and its legacy is hard to beat. Not only does one ticket buy you in to THIRTEEN discrete, horrifying attractions, but you can even opt to ride a zip line over the valley for a witch’s-eye view of the mayhem. A must visit. A past winner with Fright Find as well as many other major publications, Dent Schoolhouse in Cincinnati, Ohio is widely considered one of the scariest haunted houses in the country. The Dent crew has some of the highest standards of acting, makeup, set design, and storytelling in the business. In fact, the legend that surrounds the 1800’s schoolhouse alone is enough to get your heart pounding—think missing (murdered) children and a homicidal Freddy Krueger-esque janitor. Hit this attraction and you’ll long for the days when your worst school-related nightmares were about forgetting to study for an exam. Top marks if you don’t tap out early. Near Tulsa, The 13th Ward is a Broken Arrow gem. 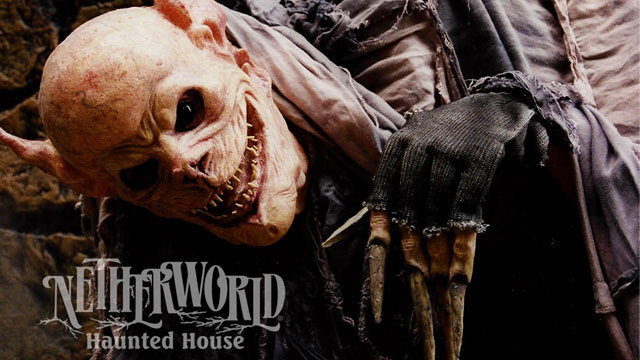 Themed as a medical rehabilitation facility for the country’s most violent and dangerous criminals, this haunted house pushes the trope’s boundaries and horrifies its patrons in unexpected ways. The House even donates a portion of its proceeds to the River Wallace Luck Benefit fund and The American Cancer Society. Pure terror has never felt so good! Dark Underground Tunnels? Yes Please! 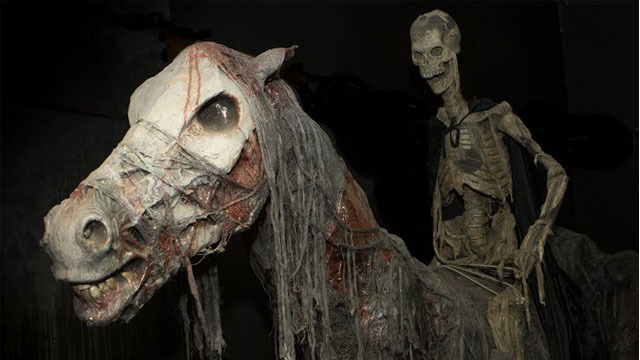 Also a previous winner, this extremely controversial haunted attraction’s dark history—along with management’s high standards of actors, makeup, CGI effects, animatronics, and attention to detail—makes for a profoundly horrifying experience. 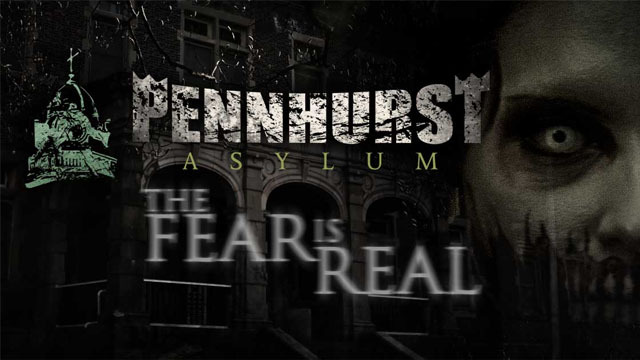 A combo pass will take you through Pennhurst Asylum, Dungeon of Lost Souls, and the Tunnel Terror, which runs underneath the grounds of the former state school, formerly known as Pennhurst Home for the Feeble Minded and Epileptic. That’s right, the attraction was once an actual mental health facility, and not a nice one. Since it was shut down in 1987 for overcrowding and horribly inhumane treatment of “patients,” many believe the grounds are haunted by very angry ghosts. In fact, the especially brave can even pay to embark on a self-guided ghost hunt in the Mayflower Building—which has been featured on both Ghost Adventures and Ghost Hunters—armed with nothing but a flashlight. But don’t worry, they usually check the batteries. 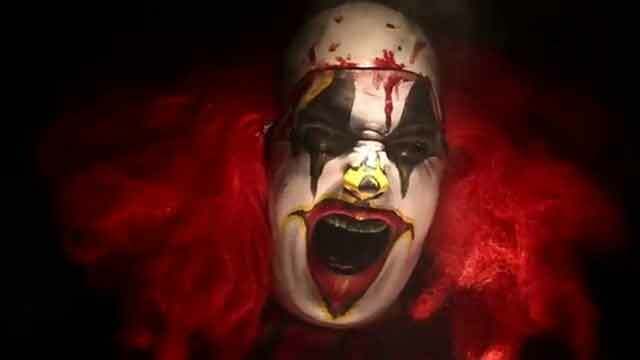 If you are freaked out by the true tales of creepy clowns wreaking havoc on cities and towns across the country, then prepare to be petrified by South Dakota’s largest haunted house: Terror in the Dark, with live actors dressed as demented clowns. Scary as it may be to many, the attraction is considered “safe” and “fun” according to their Facebook page, though young children will not be permitted. Proceeds benefit various charities and youth groups. 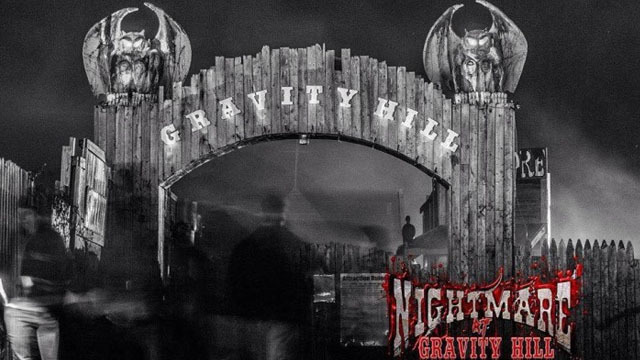 The attraction features a 12,000 square foot haunted house, including a maze and an exclusive VIP zone. Featuring live actors and a very serious warning, the 13th Realm takes the top spot for Tennessee. 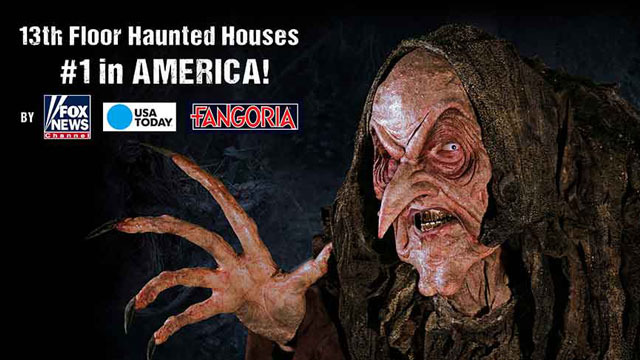 The haunt takes 30 to 45 minutes to traverse and is mostly outdoors, but features live cast members within tight tunnels and narrows corridors, “intense audio, lighting… moving floors, special effects… and an overall physically demanding environment…” While children are allowed, no refunds are issued to those who are forced to flee. The attraction includes a Minions Lair, which is a great place to hang out and still get some scares. 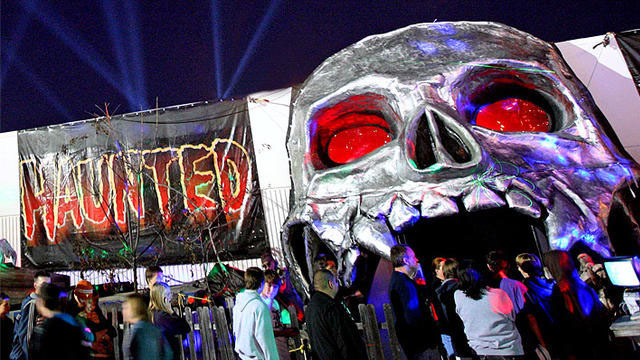 One of the largest haunted houses in the United States, Cutting Edge is located within a 235,000 square foot multi-level warehouse. 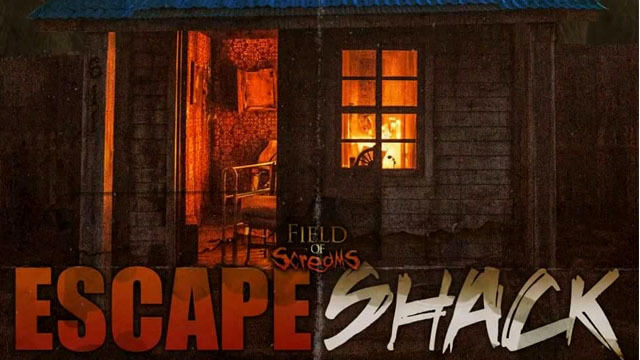 The attraction features a haunted maze with live actors and in the fine print boasts that patrons will “receive ELECTRICAL SHOCKS.” Guests will get covered in bubbles and foam from head to toe, so be prepared to be cold and wet when you leave. Cutting Edge is “the longest adrenaline rush money can buy,” according to the Denton Record Chronicle. Definitely lives up to the hype. 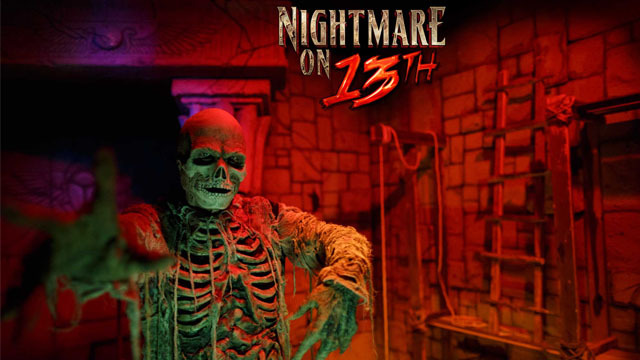 Nightmare on 13th was once featured as one of The Travel Channel’s scariest attractions in the United States. 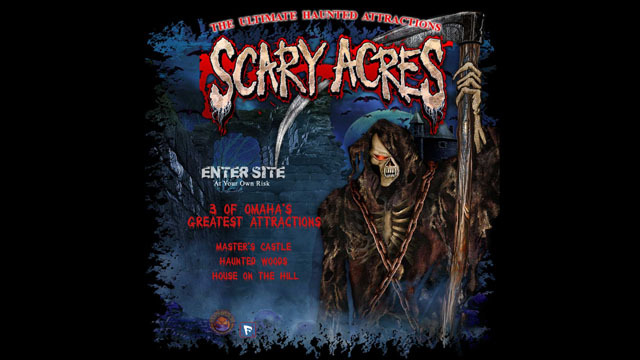 It has been in operation since 1990 and continues to terrorize throngs of patrons with new nightmarish themes year after year. They spare no expense in creating the most realistic reenactments from your favorite Halloween classics. Its 36,000 square feet feature the grotesque half-humans of The Hills Have Eyes, who compete with the Freddie himself in this scream-inducing house of all too familiar horrors. 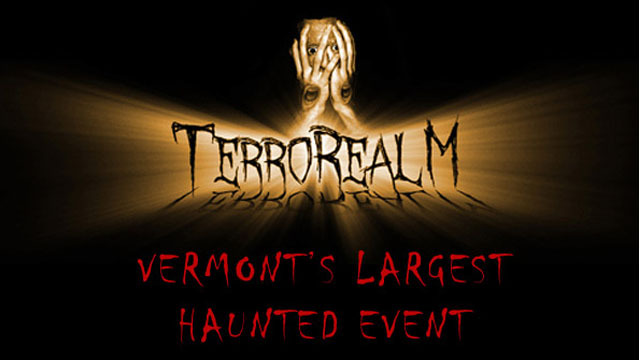 For the second year in a row, TerroRealm has been named the Top Haunted House in all of Vermont, and are also Vermont’s largest haunted happening. Frightened visitors will enter the Dementia Asylum, from which they may never return… TerroRealm moved locations this year, but don’t worry they moved the graves with them. 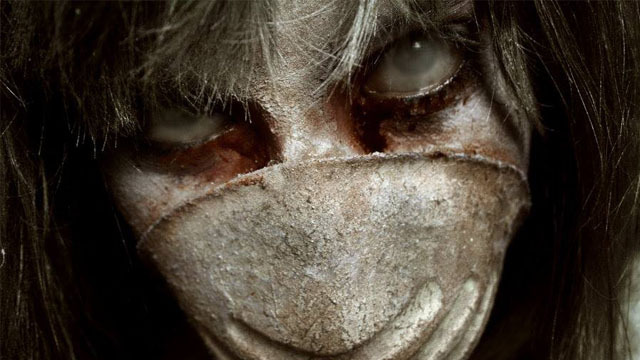 There are rumors of a supposed staff member who locked every inhabitant of the facility inside – doctors, nurses, and patients alike – and a deranged doctor who performed bizarre medical experiments on them. “Although the old asylum is now abandoned, those who dare go near the old asylum hear screams of torture and madness emanating from within the darkened halls.” Enter if you dare. 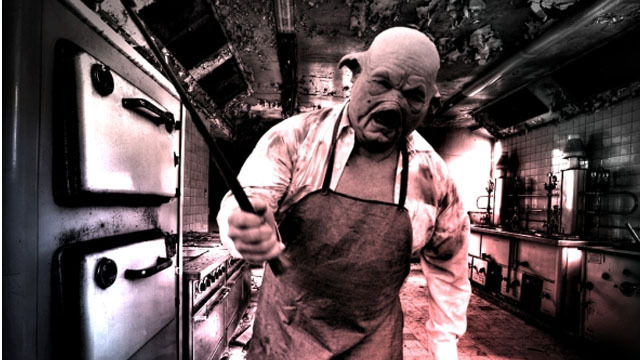 Madhaunter’s Madhouse has been terrorizing tourists since 2013, but this year’s new location is within the walls of the Old Lorton Workhouse Prison. While the prison is no longer housing inmates, the institution is be open to the public until Halloween, and Madhouse visitors can traverse the maze of homicidal history in under 30 minutes. The website claims that the attraction will bring “nightmares for those brave enough to enter,” and warns that inmates – I mean, visitors – may be showered with various liquids throughout the malefic maze. This venue is not suitable for children under 10 years old. Seattleites, put down your espresso and head south to the dark hills of Buckley, Washington. 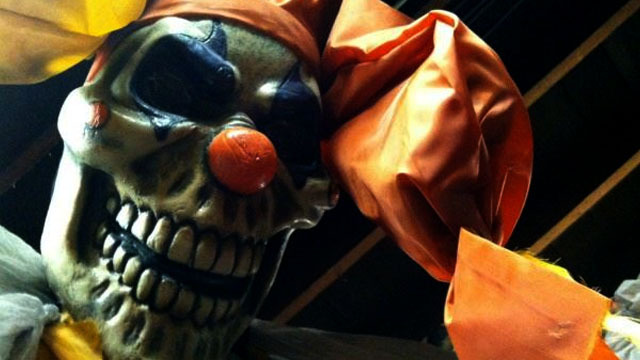 The Fright Factory haunted house has everything from clowns and ghouls to pitch black mazes that may drive you insane. Not for the faint of heart and not recommended for young kids, but recommended for those ready to look into the abyss. 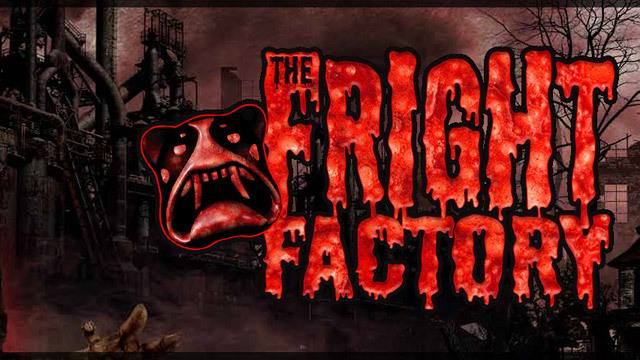 At only $12, the Fright Factory is a killer deal. Bring some canned food for donation and save a buck. Don’t and you’re pressing your luck. Last year’s runner up is this year’s penultimate paranormal attraction for the state of Wisconsin. 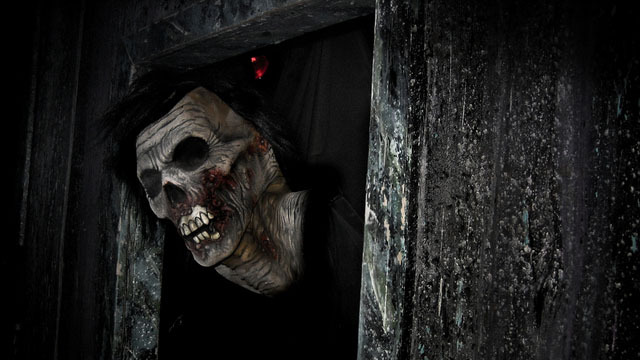 Wisconsin Fear Grounds features THREE haunted houses in one! “Twisted” promises to torment you until you lose your sanity; “Unstable” occupies both indoor and outdoor space, giving the illusion that there is nowhere to hide; and “Zaszu” offers a challenge to escape in under 5 minutes before having your soul consumed by evil! Wisconsin Fear Grounds offers yet another unrivaled experience with Night Terrors: 13 hours of fear! – a unique opportunity to camp overnight, to those who can handle the horrors that lurk in the dark. For the second year in a row, Nightmare on 17th Street takes the top haunt for Wyoming. Spawned in 1989 by members of an international, non-sectarian fraternal order, the Knights of Pythias, the attraction terrifies 2,500 to 3,000 victims every year. Featuring 15 scenes so shocking, you’ll have to leave pregnant women and young children at home. And on one exceedingly creepy night, guests are welcome to wander the haunted halls in complete darkness.